As many as 10,000 dump truck trips carrying dirt and debris away from the Hine site will hit 7th Street, SE, between the middle of next November and the beginning of next April. The period will constitute phase 2 (excavation phase) of the Hine Project. That works out to one truckload every three to five minutes exiting the site across the street from Peregrine, turning left on 7th Street, left on Pennsylvania Avenue, and right on 11th Street to access the SE/SW freeway near Ginko Gardens. The trucks will operate only on weekdays and between the morning and evening rush hours, the exact timing to be determined by DDOT. The route for trucks arriving on the site has not yet been determined. 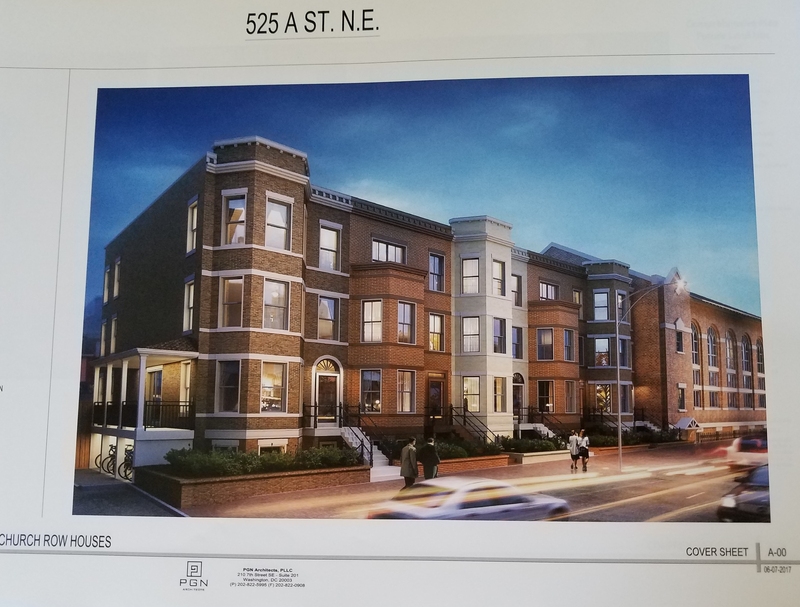 Details were released by Hine Project Construction Manager Matt Harris to the ANC6B Transportation Committee on Wednesday night. Harris presented the Committee with two plans for construction traffic, one with trucks entering the site at an entrance at Pennsylvania and D Streets and another with the entrance on 8th Street. As Harris explained, this was in response to concerns of 8th Street neighbors who asked that they not bear the full brunt of having trucks on their street for the entire 18 weeks. Upon questioning by Commissioner Brian Pate, Harris admitted that there was no reason why the entrance at Pennsylvania and D couldn’t be used for the entire excavation phase. He did warn that he was uncertain how much DDOT would resist putting an entrance at that location. Pate asked the Committee to approve a letter from ANC6B to DDOT expressing the strong preference for the Pennsylvania Avenue entrance. The Committee approved that motion and the letter will be considered by the full ANC6B at its meeting next Tuesday. Asbestos removal is expected to start next July to kick off the phase 1 (demolition phase) of the Hine project. 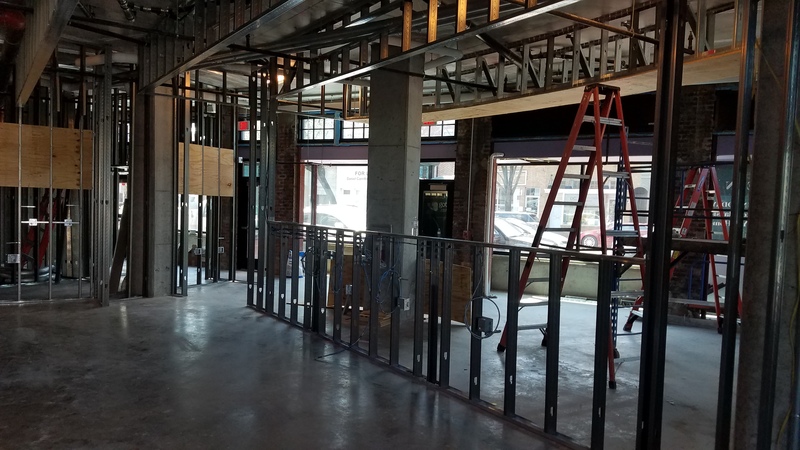 Phase 1 will continue through September. Asbestos from the site will be bagged and placed in dumpsters on the south end of the Hine Playground which will be removed as necessary. 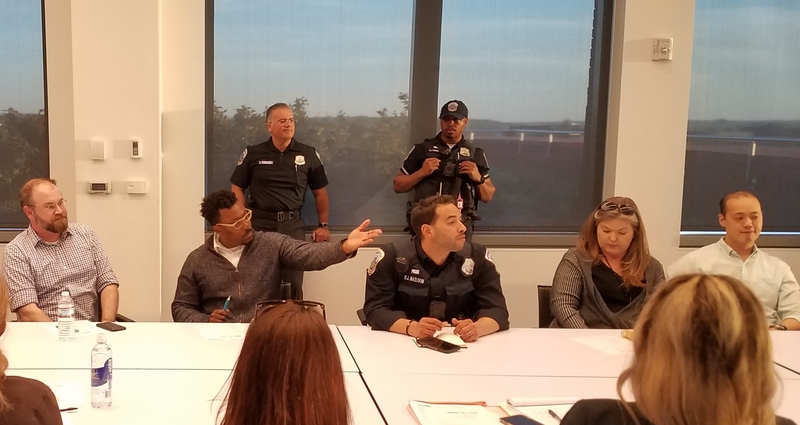 Harris said that it was the intent to try to keep the weekend flea market vendors on the Hine playground for as long as possible. Details on phase 3 (vertical construction phase) have not yet been presented. ANC6B will meet at 7:00pm on Tuesday, May 14, in Hill Center.